What Good Is Out-of-Body Travel? Whenever I'm brave (or stupid) enough to tell a "normal" person about my out-of-body experiences, their initial reaction is usually surprise and disbelief. I accept that; I wouldn't expect anyone to believe it either, until they do it themselves. Once they get over the initial shock, they often ask me, "Okay, assuming what you say is true: what good is it? Why would anyone want to do that?" They often follow up with, "What do you do, just fly around the room and stuff?" At first I fantasize about yelling in their face, "What good is it? What GOOD is it?" Then I remember Morpheus from the movie The Matrix. "You take the blue pill, the story ends, you wake up in your bed and believe whatever you want to believe. 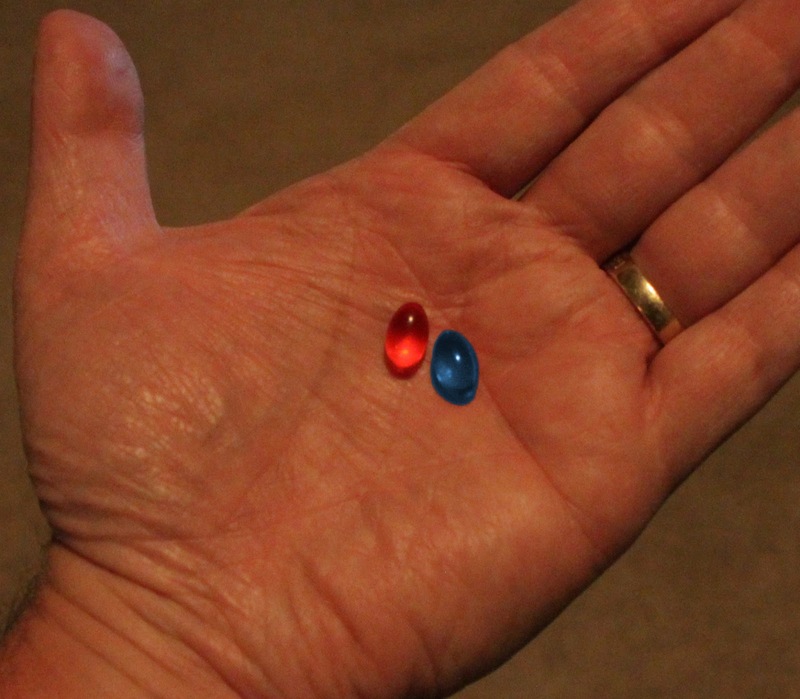 You take the red pill, you stay in Wonderland, and I show you how deep the rabbit hole goes." First, I have to size them up, to see how much "truth" they're ready to handle. Do they want to remain asleep or wake up? They look fairly open-minded, so I start a quiet discourse. "Do you realize that NASA spent nearly three billion dollars in 2011 to put a robot named Curiosity on the surface of an alien world, Mars? Now consider this: you can step outside of your body and set foot on an alien world, the astral plane, and explore it yourself. For free." They look confused; perhaps they don't see the connection, so I continue. "Let me ask you something: How will knowledge of Mars serve you in a practical sense? Will it help you in your daily life? Will it prepare you for anything? Will you ever set foot on Mars? Unless you're an astronaut or scientist, the answer is probably no, it won't help you." "On the other hand, I guarantee you will set foot in the astral plane sooner or later." I pause for dramatic effect. "At the hour of your death. Like most people, you're probably content to be thrust--against your will (and when you're at your weakest and most vulnerable)--into that alien world, with no knowledge and completely unprepared for the journey." A frown crosses their face, and I can only imagine what they're thinking right now. "No knowledge? Unprepared? Now waitaminute! I go to the church/synagogue/temple/mosque every week. I read the Bible/Talmud/Bhagavad Gita/Koran all the time. I pray every day. I have faith every day. I'll get to heaven." "Yes, but all those books were written a thousand or two years ago, distorted by history and culture. They were written by people who thought the Earth was flat. The books were further warped by translations from different languages into English. And guess what? Everything they say about the afterlife was based on someone else's out-of-body experiences. But guess what? Knowledge trumps faith. You can see the afterlife yourself. Not only is this practical knowledge, it's also information you're going to need some day." Their head goes quickly in the sand. "We're all going to die eventually anyway. There's nothing we can do about it, so why worry about it? We were all born into this world without any preparation, weren't we?" I counter, "Yes, but can you imagine a child who is born with 20 years of Earth experience under his or her belt? They'd be another Mozart or Einstein." They look skeptical. I can see the religious angle isn't working. That's okay, most people are closed-minded when it comes to their religion. I try another approach. "Okay, let's talk about the practical applications. Imagine a world where the FBI has trained psychics that can use out-of-body travel to solve crimes or find missing or kidnapped children. That's a practical application. Imagine a world where no child gets abducted because criminals know they cannot hide and they'll be caught." I'm thinking of Marilynn Hughes and her Out-of-Body Travel Foundation, but I don't want to get too sidetracked. I see a lightbulb go on above their head. Maybe I'm getting through this time! "Imagine scientists flying out-of-body to Mars or other planets to see them firsthand." I see the wheels in their head starting to turn. "Imagine you can fly out-of-body and talk to the subconscious minds of world leaders: the president of the United States, or the leaders of Russia, China, England, Germany, France, Australia." I want to add "You could change the world!" but I keep my mouth shut. I've never tried to influence world leaders, so this is all pure speculation. Still, their mouth opens at the implications. "Imagine giving hugs and saying last goodbyes after someone close to you dies, like your husband, wife, mother, father, son, or daughter." Their eyes shift nervously as they start to see the potential, but I don't let them interrupt. "Imagine being able to meet, talk to, and embrace religious leaders like Jesus Christ, Moses, Mohammad. Not praying to them, not having faith in them, but actually meeting them, shaking their hand." "Imagine a world in which there are no holy wars and all religious differences are settled once and for all, because the scientists and theologians of all nations can all see the afterlife firsthand and agree where we're going after we die." Their optimism quickly turns to skepticism and they frown. They say, "Do you do all these things?" but I can see it in their eyes: they're thinking, Yeah, right. This is all a load of crap. No, I won't tell them I've floated at the top of people's kitchens and living rooms and silently witnessed their private lives. No, I won't tell them that I've seen my father in an OBE after he died. No, I won't tell them I've stood in the presence of Jesus Christ in an OBE (as others have done). No, I won't tell them about divine Union with God in OBEs, as described by authors Gary Wimmer and Jurgen Ziewe, or Chris Hazlitt from my second book. My discourse trails off and I answer with one word: "Some." At this point, the futility of what I'm doing finally sinks in and I give up the battle. They want to stay asleep. They swallowed the blue pill. This conversation never actually took place. I've had many like it, but they never get that far. They always pick the blue pill a lot sooner. but it's easier just to avoid the question." The song is aptly called On the Other Side. Wow! Just...wow. Where do I begin? Unlike other OBE authors, Jurgen Ziewe (he's German, so it's likely pronounced Zee-Vay), wasn't even trying to induce OBEs. He was just practicing very deep meditation (for hours every day), and the OBEs were simply a bi-product. The reader almost gets the feeling that, for the author, the OBEs were a let-down; he was after much loftier goals, akin to Nirvana. He wasn't going to settle for anything less than God Him/Herself, but many times he got out-of-body experiences instead. Several things impressed me about this book. First and foremost, the author makes it clear in nearly every OBE narrative that these were very conscious experiences. In many cases, he describes his awareness as hyper-conscious or super-conscious; his awareness was brighter and he was more alert than in waking life. He describes his experiences as having extreme clarity, even to the point of examining tiny scratches on surfaces. Like some of the OBEs in my own books, it's so realistic that at times he actually questions whether he's in-the-body. He has to do some gravity-defying feat to prove to himself that it's an OBE and not waking life. Clearly, these were not dreams. While we're on the subject, let's talk about lucid dreams for a minute. I've always maintained that the difference between an OBE and a lucid dream is that during a lucid dream, the scenery is a hallucinated construct of your own mind and you have complete control (in OBEs, it's not hallucinated and you have less control). Although Ziewe tries not to make such distinctions and lumps his experiences together, he can clearly tell when the scenery he's witnessing is "fake" or "real" and he notes it in his journal. And in his OBEs, he makes it absolutely clear that he's describing "real" places and events, not dream images. At times, it's so real that he worries he's invested too much of his consciousness in these places and won't be able to get back to his body. While other pretentious authors might write authoritatively about visiting the third level of the astral plane, Ziewe's descriptions better match my experiences: There aren't any signs hanging over the doors (or pearly gates) that say "Astral Plane, Level 4, World 9, Continent 2, Section 8;" you just find yourself in unfamiliar surroundings and have to figure out where you are. I was particularly amused at some of his OBEs in which he goes around asking people, "What level is this?" And people look at him like he's crazy. These experiences give an air of credibility: Jurgen Ziewe is the real deal. I might also describe Jurgen Ziewe as the "Eckhart Tolle" of the OBE world. Let me explain. The first book I ever read by Eckhart Tolle was A New Earth, and when I describe that book to my friends, here's what I say: You have to give yourself time to absorb it because as you read the book, little coins of wisdom spill out all around you, almost as if by accident. It's like the author has pockets full of gold, and a hole in his pocket causes them to spill out as he walks, leaving you to pluck them off the street. It's like he's not even aware of the coins spilling out; like the wisdom is a completely unintentional bi-product of where he's going. Bob: "Jurgen, if average people could just see what you've seen, it would open their eyes. It would change the world. It could end all wars. It could unite the religions. It could change the world!" Jurgen: "Meh. Wasn't my intention. But wouldn't it be cool if..."
And he'd change the subject. It's comfortable, approachable and valuable. "Curiously, the most challenging feeling to bear was the intensity of the joy I felt. I was unprepared for it. It was a joy synonymous with a blinding light, which became more intense and closer to pain the further I travelled inland, until I could not bear it any longer." "...room descended into the darkness of the bright summer daylight." How's that for contrast? And that's just the out-of-body experiences; at the end of the book, he does get that Nirvana experience he was after. He also does something else no other OBE book has: he travels back to past lives and actually experiences pieces of past lives from an OBE. If this book had been written two thousand years ago, religion would have changed. People would have a completely different picture of heaven and the afterlife. Oh, people were having OBEs back then, and their descriptions live on in texts like the book of Revelation (of John), but the thing is, they were interpreted through a relatively primitive understanding of reality. I'd say Ziewe's book is no less important than those religious texts. The problem is: people today are more jaded when it comes to religious experiences. For some strange reason, they disregard contemporary firsthand accounts as nonsense. They're more inclined to believe dogmatic religious accounts that have been altered by two thousand years of historical distortion and two languages of interpreter-distortion. Most people prefer ignorance over truth, and faith over knowledge. Go figure. I tend to think Ziewe's descriptions are much more accurate, and it does fit well with my experiences. As for the writing: aside from a few typos, it's flawless; very well written. The only think I didn't like about this book is that he didn't give any directions, tips or pointers for doing it yourself. He does, however, give some suggestions in an appendix regarding meditation and OBEs. Thumbs way up. I highly recommend this book. Time for another book review. This time it's Astral Projections by Michael Ross. This one weighs in at 179 pages, and although the book is not as wide nor as tall as the previous two books I reviewed, at least it's a little thicker and uses a small font and no wasted space, so it felt bigger. 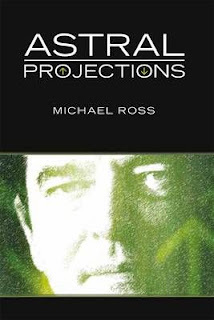 The book isn't so much an analysis of astral projection as it is a personal journey, and that made it quite endearing. The author is a retired Scottish schoolteacher, and his education shows: his writing is clear, highly intelligent, and even eloquent. As such, it resonated with me (I'm an excellent proof-reader and have often been accused of being a grammar Nazi). For example, I loved his description of the astral world as having a "delicious feeling and sensation of 'eeriness'." Even his occasional British and/or Scottish colloquialisms and conventions were endearing. For example, he references a "torch" instead of the American "Flashlight" I'm accustomed to. Ross seems a lot like me, in many ways. Like me, he started his out-of-body journeys in the 1970s. Like me, he read the great OBE authors like Muldoon and Monroe. Like me, he checked out the religion of Spiritualism but never got in too deep. Like me, he investigated Eckankar and decided they were a cult. Like me, he investigated the Jane Roberts "Seth" material and found a lot of value in that. Like me, Ross wrote about an OBE encounter in which he met with a family member who had died. It was his son Murray, who had committed suicide, which sounds quite heart-wrenching. (In my case, it was my father). Like me, he studied the great philosophers like David Hume and Charles Braud and many others. Although he expounded on their views of the OBE and how they came to their conclusions, he didn't really talk about how his own experiences supported or contradicted them, and that would have made the book better. This OBE book isn't perfect. None are. I found his OBE narratives a bit disorganized and they didn't seem to serve any point in his story. Part of the problem is that he kept a journal of all his dreams, lucid dreams and OBEs, and wrote them all down in the same place. Some of this is reproduced in the book, but it was hard to tell what was what. I wanted more narratives, but unique stories that made a point. One of the things I liked about this book is Michael Ross's brutal honesty and self-criticism. He's not trying to make himself out to be a guru or an expert at OBE. He admits his flaws and shortcomings. He admits his laziness. The OBEs in the book had a huge impact on him and his life, but as an experiencer myself, I had hoped for something more groundbreaking. This book is one man's journey of OBE discovery. It's not Earth-shaking or profound, but it is endearing and entertaining. I'm giving it a thumbs up.